Holiday Cottage in Winchcombe Cotswolds. Blacksmiths Cottage is our gorgeous Cotswold Cottage in Winchcombe.It is a superb three bedroom barn conversion, which retains a wealth of original features including exposed oak beams and stone walls. On the ground floor is a newly fitted kitchen which includes a dishwasher, cooker, hob, microwave and fridge. The kitchen leads to a dining room with a large pine table and six comfortable upholstered chairs. Beyond the dining room is a cosy lounge for relaxing. A TV/DVD player is provided along with many books of interest. There is also a comprehensive guide to local facilities and tourist attractions in the area. On the first floor are a twin-bedded room, a double-bedded room and a bathroom. The bathroom has a hand basin, toilet and bath with shower over. On the top floor is a spacious double bedroom with outstanding views overlooking the valley. There is an en-suite shower room. Bedrooms have wardrobes or hanging space and chest of drawers. All rooms have radiators. 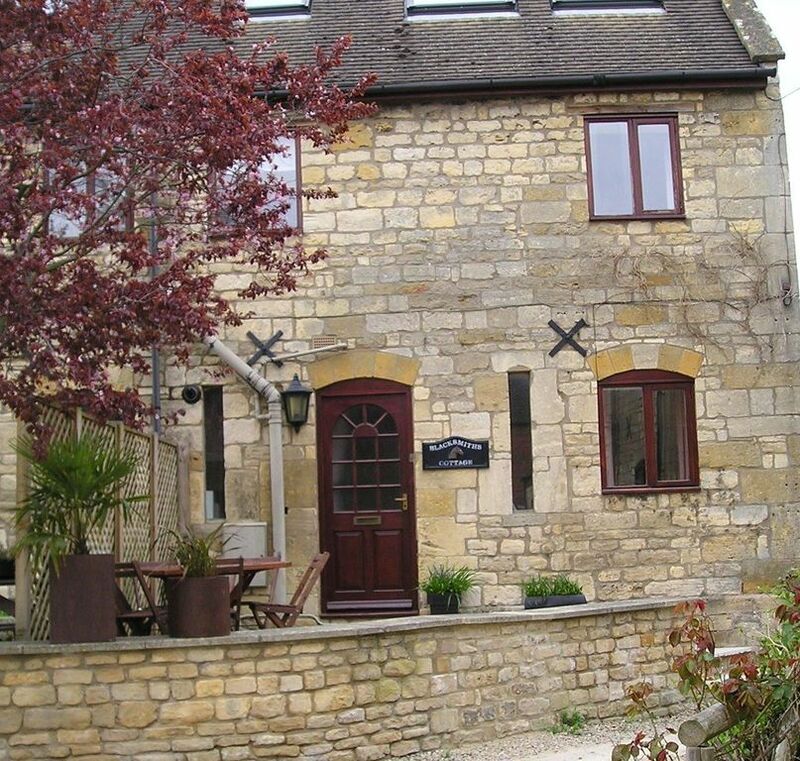 Blacksmiths Cottage Winchcombe is the ideal place to explore the Cotswolds. It is a small town that offers many good restaurants, shops and antique shops. There are lots of Cotswold villages to visit on the doorstep. Sarah Halewood, Cotswold Short Breaks. About Sarah Halewood, Cotswold Short Breaks. Sarah Halewood has run Blacksmiths cottage and Cotswold short breaks for many years. We have had lots of lovely visitors from all round the globe. We recommend Blacksmiths Cottage for visiting The Cotswolds for a short break or an extended stay. Blacksmiths Cottage is perfectly situated to walk to the nearest pub or shop without having to take the car. View more about Sarah Halewood, Cotswold Short Breaks. Bathroom 2 is an en suite. Blacksmiths Cottage is Situated in the heart of Winchcombe Village it is within walking distance of many shops, restaurants and pubs. Historic Winchcombe is an ideal location from which to explore the Cotswolds and the Spa Town of Cheltenham. There are many inns, restaurants and tea rooms offering a wealth of character of times gone by. Sudeley Castle with its beautiful gardens is a worthwhile visit. The castle’s most famous resident was Katherine Parr, Henry VIII’s sixth wife, who is buried at the chapel. Winchcombe is ideally located for walking the Cotswolds. Routes vary from undulating track to quiet out-of-town circular routes. Cycling is also a popular activity to pass through the unspoilt scenery in this area of outstanding beauty.